An Israeli tourism brochure depicting the Old City of Jerusalem has been banned by Britain’s Advertising Standards Authority (ASA) for presenting a “misleading” image, which suggests the Palestinian enclave is Israeli. The ASA banned the leaflet on Wednesday after consumers lodged complaints. 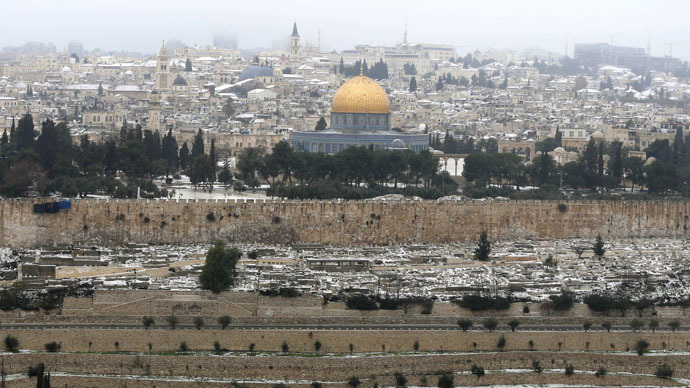 Its headline, “Israel: Land of Creation,” showed a photograph of the walled Old City and Muslim Dome of the Rock against more modern buildings of West Jerusalem. The caption read “Israel has it all,” adding “everyone falls for the Old City, with its narrow (and car-free) alleys, teeming pilgrims and bazaar-like buzz,” AFP reported. The ASA issued a statement saying consumers had complained the advertising presented a “misleading” image of the Old City as a widely accepted part of Israel. They further denied any implication that East Jerusalem and the Old City of Jerusalem were part of Israel. “IGTO said the issue surrounding sovereignty over Jerusalem was widely known to the British public,” the authority reported. They added that the leaflet was intended to make a practical statement, and did not make a political message. The authority states it is “required to consider whether they are likely to cause consumers to take a transactional decision that they would not otherwise have taken,” and concluded the average consumer would “not necessarily be aware of the status of the territory in question,” making the brochure misleading. The leaflet’s ban follows criticism by the US government of Israeli Prime Minister Benjamin Netanyahu for making a speech to congress about Iran and stirring up international tensions. The White House said his motive was to try to build US opposition to any deal on Iran. Following the speech, US President Barack Obama told reporters he had seen “nothing new” in the speech transcript. “On the core issue, which is how to prevent Iran from obtaining a nuclear weapon which would make it far more dangerous, the prime minister did not offer any viable alternatives,” he said.